Puppies For Sale - Jack Russell Terrier - We have answers to your Shorty Jack Russell Questions. 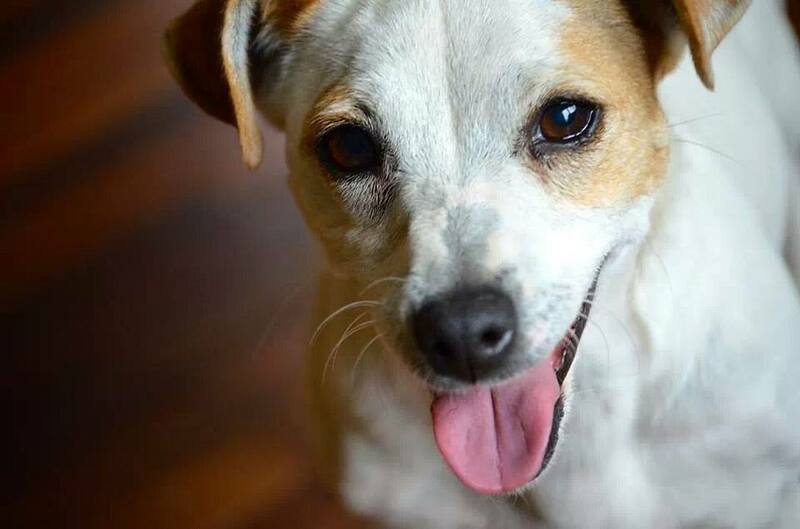 The Connemara Jack Russell Terrier has the expected confidence and pride of a terrier without hyperactivity or aggression issues. This little terriers motto is “live and let live” however if pushed and bullied by another dog, he can and will hold his own. He believes his humans need and require his affection. He is determined to provide more than enough to justify his appointment as sole purvey!Fiona and Slugger snuggled up together. They are cousins and both CJRT's. Fiona lives in Georgia and Slugger in Maine. They get together during the holidays with their family and play. Is the Connemara Jack Russell Terrier the same as an English Shorty or Irish Jack? Yes. All of these terms are used to describe a “slightly longer than tall” Jack Russell that averages 10” in overall height. Now please also allow me to also say this in as few words as possible: There is no such breed as an "Irish Jack". Connemara Terriers are a very specific strain/line of Jack Russell Terrier - They just happen to be from Ireland. Being Irish does not make them better or worse. It is simply where this line hails from. I have heard negative comments about Jack Russell Terriers in general... Is this true? 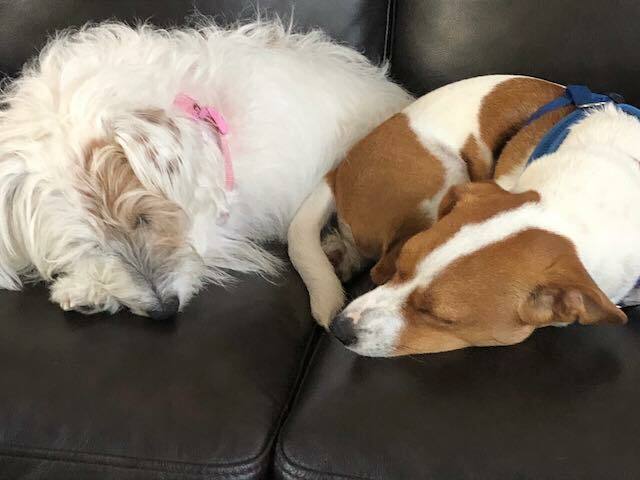 Are Connemara Terriers good with children and cats? Our terriers hunt vermin and the likes but they are sensible and will not be aggressive with cats. They do very well with children of all ages. A Connemara bred with temperament in mind, raised with socialization, and properly trained, is a wonderful, loyal, trustworthy companion and a top choice for a family pet. All our puppies have been introduced to and socialized with our cat Juliet. She's playful, engaging and very patient with them. How big does a Connemara Terrier get to be? Male or Female? What is better? Do typical Connemara Shorty Jack Russell Terriers shed? A little bit. With good nutritional habits, you will reduce their shedding to an amount so small you won't notice much. However, for those with dog allergies, you should never consider any Jack Russell Terrier hypo-allergenic. But wait, I have heard they are double-coated dogs, or they shed their coat twice a year, is this true? Double coated dogs shed or blow their coats twice each year. And they shed massive amounts all year as well. They have an obvious, thick, fuzzy, down-like undercoat. Collies, Labs, Shepherds, Chows, Huskies for example, all have double coats. Single coat dogs do not shed anywhere near as much. Jack Russell's fit into this group. Rough coats will have what appears to be a very slight double coat, but it is just a soft undercoat on the inside. This is typical to their terrier group and is not considered a double coat. The difference between this type of rough terrier coat and a true double coat is that the rough terrier coat will not shed their coats twice a year…this is why a rough coated Jack Russell Terrier is typically hand stripped twice a year or a stripping comb is used - because they DON’T shed their coats. The dead hairs stay and need to be removed by hand or with a stripping comb. On rare occasion I have seen articles listing the Jack Russell as a double coated dog but this is incorrect. By-and-large the JRT is a single coated dog. If they are shedding in large quantities, my suggestion would be to see your vet for a full check-up. If the dog is healthy, I would then look into the dogs diet next. What are the differences between a typical Connemara and a Connemara "Heritage" pup? Heritage pups will be a bit beefier (heavier boned) but will be the same average height of 10". They shed considerably less than a typical Jack Russell Terrier or a typical Connemara. a Heritage pup should be much easier to live with if you have a dog allergy. But we are not claiming this will be true for all persons. Want to know more about occasional Heritage litters? Please contact us directly. *No dog breed is truly hypo-allergenic. Even with advances in the field of genetics such as gene silencing. This is because allergens are not confined to just hair or fur. Dander, and proteins in saliva and urine are also a factor. Some people are allergic to other parts of a dog, not just the coat. As well, a person can appear to not be allergic to a dog on one day, and have a reaction to the exact same dog the next day, depending on their immune status. Where are the puppies actually raised? In our home, underfoot at Stephanie's. In the living room actually. See photos here of Our Home. We offer a COMPREHENSIVE GUARANTEE: On Genetic Health; A compatibility ("Safety Net") Guarantee; Temperament Guarantee, Healthy Puppy Guarantee of five (5) full years and an accidental death replacement. We have a few solutions available to you if a problem occurs. Please refer to our Guarantee and Puppy Package pages to read more detail. How do we get our puppy if we live too far away? We have several options available to you: Of course you can come direct to our home and we encourage it. If this is not possible we can meet you partway to cut down on your driving; ship your puppy via Continental or Delta Airlines; Or arrange our personalized courier service from our home to a major city closer to you. Our courier can drive to one of several locations. Shipping Info. Details surrounding each option can be explained to you when we speak on the phone. The price of our puppies is $2800. This is for male or female, all coat lengths. *Initial deposit of $500 can be rolled over to another litter (within 2-3 years) but is non-refundable. *Deposit is of course deducted from price above when final payment is made. Heritage litters are priced separately. If you elect the additional 4 weeks of Polished-Puppy training, this is an added expense. 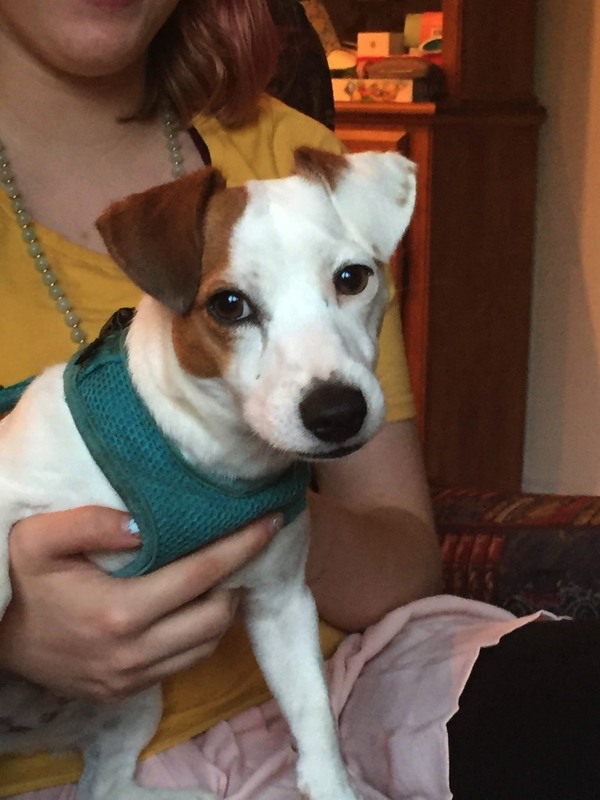 How do I reserve a Connemara Jack Russell Terrier? Complete reservation/application form... or RING US. We can then spend some time talking about what you want in a pup and if we agree we can work together, you may place deposit to be on the list. Puppies will be placed in new homes on their 56th day of life (8 complete weeks). This is little Miss. "Pippa" she is a smart little gal. Just as all jack russells are. She fits in well in New York with her family. 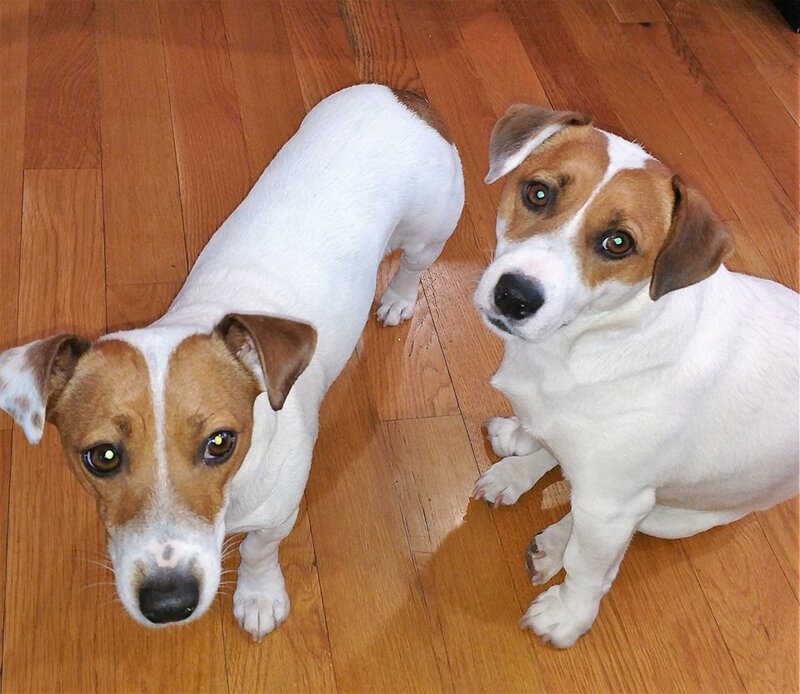 "Hudson" and "Hadley" are a sweet little jack russell pair. They are from different Connemara litters. Hadley is the youngest. They both reside in New York.